He’d been hurt during a rodeo. Very seriously hurt. The townsfolk had gone into an uproar when they’d learned about it. Nate and her friends had been despondent. Tess had managed to harden her heart against the news. Had tried not to think about Caleb’s aborted career. About his injury. For the most part, she’d succeeded. Until now. Reading about his accident was one thing. Seeing the results of it right there in front of her was something else. But she couldn’t feel any pity for Caleb. Not after the way he had crushed her. His gaze drifted from her eyes all the way to her toes. An answering shiver rippled its way along the same path, as if he’d run his finger down her body. “You’ve got more curves than I remember—but it looks like you still wear the same shoe size, anyhow.” He grinned again. Time to get away from him. “I have to run.” What an understatement. She needed to get to her office, research the list of his requirements, and find some property for him as quickly as she could—and as far away from Flagman’s Folly as possible. The most unlikely prospect she’d ever heard. The words rested on the tip of her tongue, ready for her to say them. But she couldn’t. Visions floated into her mind. Nate. Roselynn. Dana with her three small children but no husband by her side. An “Out of Business” notice plastered on the front window of Wright Place Realty. A “For Sale” sign decorating the lawn of the Whistlestop Inn. 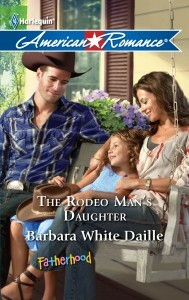 She thought of the commissions she and Dana would earn from the sale of a ranch to Caleb. The sale of a substantial ranch. He’d made it plain he intended to acquire the largest piece of property she could locate. He’d seemed obsessed by the idea of owning a big spread in New Mexico. Strange, when he’d told her he already ran a working ranch in Montana. She’d had to bite her tongue against the question she wanted to ask. Why did he feel such a need to branch out? Fortunately, she’d kept quiet. What did it matter to her, as long as she managed to find him that ranch clear across the state? She ought to be grateful for his obsession. The income she could earn in satisfying his need would take care of every worry she’d envisioned, for a good long time. She couldn’t afford—literally—to get on the man’s bad side. Everything she’d seen of him so far looked as good if not better than it had ten years ago.